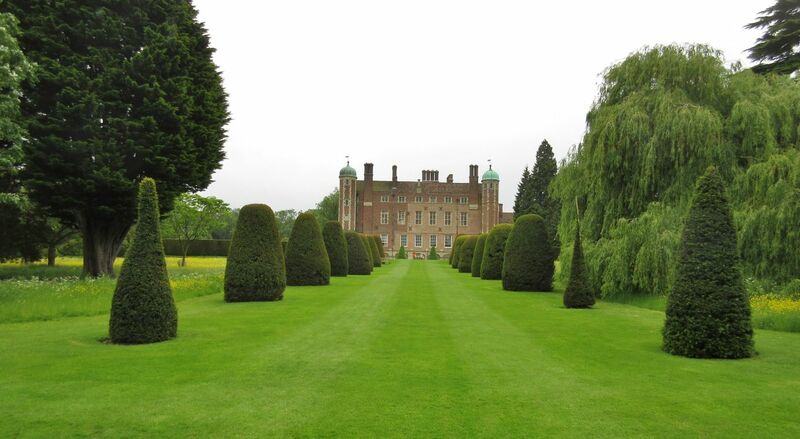 During the final classes for my Master’s degree, we were given a non-fiction assignment: To explore our environment (Madingley Hall and/or its surrounding areas), to write about something from that environment. I thought it would be interesting to focus not on the marvelous gardens or the mysterious hallways; to write, instead, about a person: A fellow classmate, and a brilliant writer indeed. Here, but not from around here. Not from around anywhere, really. It is easy to be fooled, of course: Walking instead of flying, nodding while listening, communicating via words – written words, spoken words. We are supposed to be fooled. I am not fooled. Not because I have any special knowledge or abilities. I was simply asked to look in order to write this assignment. And I looked. I saw. Not from around here. Not from around anywhere, really. Well, from somewhere, just not from around anywhere close to us. From somewhere. From a place that you used to see in your dreams as a child; if you have young children, ask them, they go there every night. From a world that shows up uninvited in stories about dragons, princesses, and knights (you see, it is a world full of dragons, princesses, and knights). You can see this ‘somewhere’ in the gaze. The one she has when she’s alone in front of other people. Those from the same place as her are often alone in front of other people. I’ve met some of them – not many, but enough. Enough to not be fooled. In Ireland, there is a poet with a huge feather on his hat; he allows his cats to help him edit the poems. In Austria, there is a girl with curly hair; she is incapable of not loving too much, too carelessly – yet she is always capable of smiling. And here, we have her. Frequently late for class because in the kingdom she comes from they need no clocks. Often writing things on her hand because in the kingdom she comes from they love trees too much to use paper. Ladybugs like her because – well, she notices ladybugs, and so ladybugs notice her back. She is aware that sarcasm is a necessity for being polite in Britain; however, I don’t think she has ever seen an ugly person in her life. Ugly persons have probably appeared to her, just like they appear to everyone, yet she has never seen an ugly person in her life. If you are in pain, you will hide your eyes from her. You know she’ll know you are in pain if she sees them. She’ll know even if she doesn’t see them, but you might as well try. And there is no such kingdom. The poet with the huge feather on his hat, the girl with curly hair, my subject for this assignment. All three of them are from somewhere around here. That doesn’t matter. It is a technicality. What matters is where they belong. Where they deserve to be from. Here is here and, most of the times, here convinces us that it would have remained here regardless of our actions. It is the places we make real that say the most about who we are. So. Fact is fact. Not from around here. Not from around anywhere, really. Both images depict Madingley Hall (University of Cambridge).